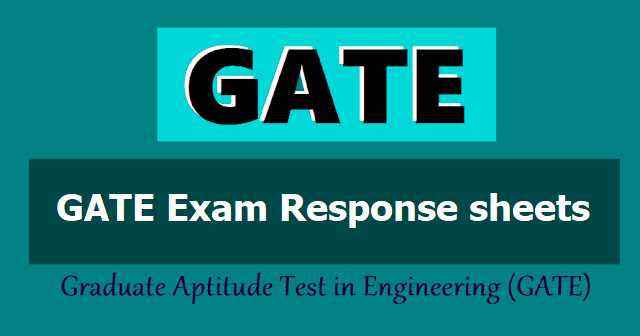 The GATE 2019 response sheets for the exams that were held on February 2 and 3 can now be downloaded on their official website which is gate.iitm.ac.in. 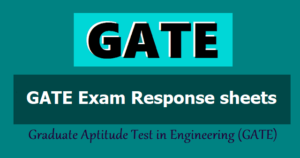 The lest exam for the GATE 2019 was conducted on February 10, 2019. The IIT (Indian Institute of Technology) in Madras released the response sheets of the candidates who took the exam for the GATE (Graduate Aptitude in Engineering) that were held during session 1, 2, 3, and 5 on their official website. The exams happened on February 2 and 3, 2019. The last exam date for the GATE 2019 exam was on February 10, 2019, which was its 8th session. The exam was done in 2 shifts, the first exam dates were on February 2 and 3, the second dates were on February 9 and 10. The fifth step is: To wait till your response will appear on your screen. All candidates who took the exam can download the results from their official website after May 31, 2019. Note: Any beepers, cell phones or smartphones, calculators, and electronic devices are not allowed in the examination hall.